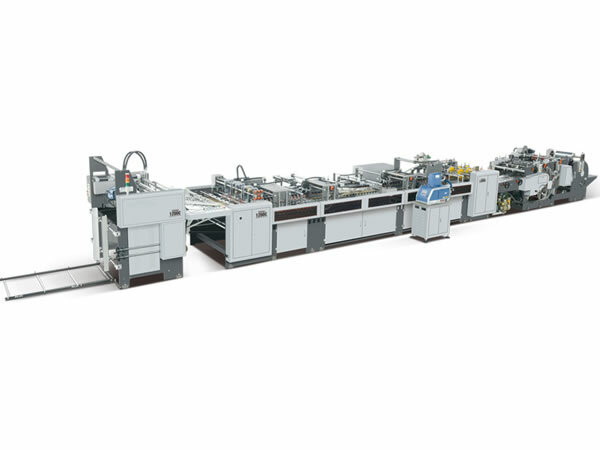 Suitable for large-scale production, the paper bag making machine ZB1200C-430 has high working efficiency, because it is capable of completing printed paper feeding, positioning, creasing, bag body folding, accordion folding, bottom gluing, compressing, and paper bag discharging, synchronously. 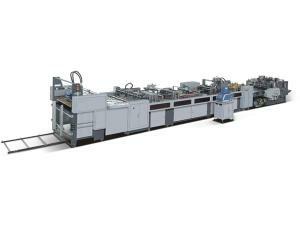 In addition, this high-speed paper bag forming equipment has the following features. 1. 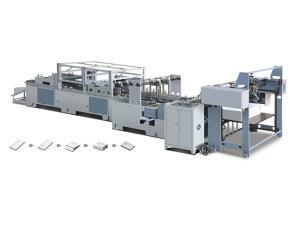 The paper bag making machine utilizes innovative variable speed drive technology to realize seamless bottom sealing through the integration of bottom forming system, and vertical and transverse creasing system. 2. The PLC and the variable frequency speed controller for the automatic paper bag forming machine make for high production capacity and outstanding quality of the paper bags. 3. In addition to the bonding device for wide and narrow edge, the paper bag making machine is also installed with gelatinizing unit suitable for both hot melt adhesive and water-based glue. 4. 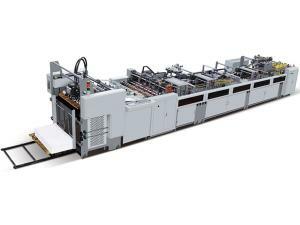 The special paper sheet feeding device helps realize continuous paper feeding. 5. 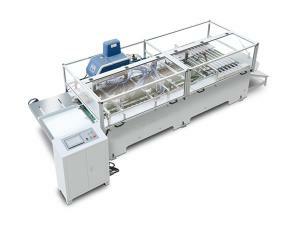 Humanized screw rod enables convenient regulation of the paper bag production line, at the shortest possible time. 6. The operation and the debugging of the paper bag making machine are quite easy. 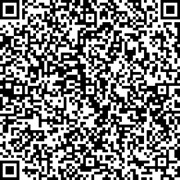 In addition, the simple maintenance brings more convenience to the users.